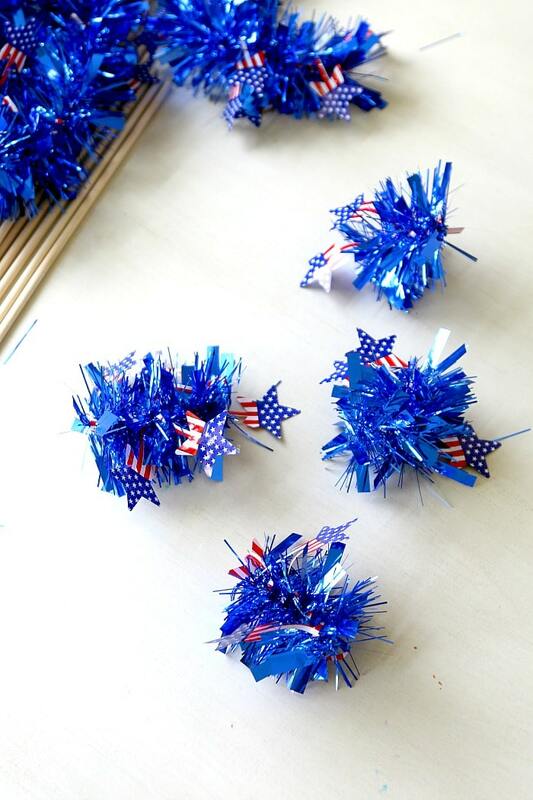 Home » Crafting » Create Burn Free Sparklers for Toddlers! Create Burn Free Sparklers for Toddlers! 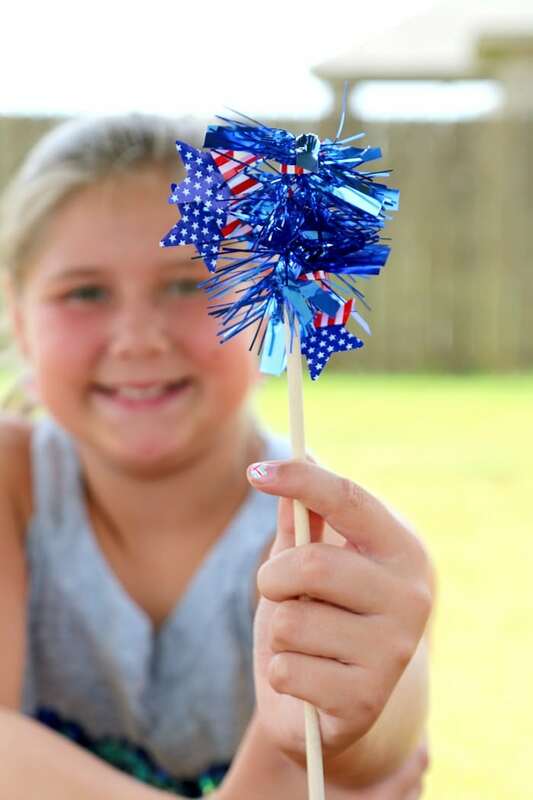 According to the Consumer Product Safety Commission, over 36% of Sparkler injuries happen on hands and fingers and at least 50% of ALL injuries are burns. Obviously. Sparklers burn at temperatures of about 2,000 degrees – hot enough to melt some metals. 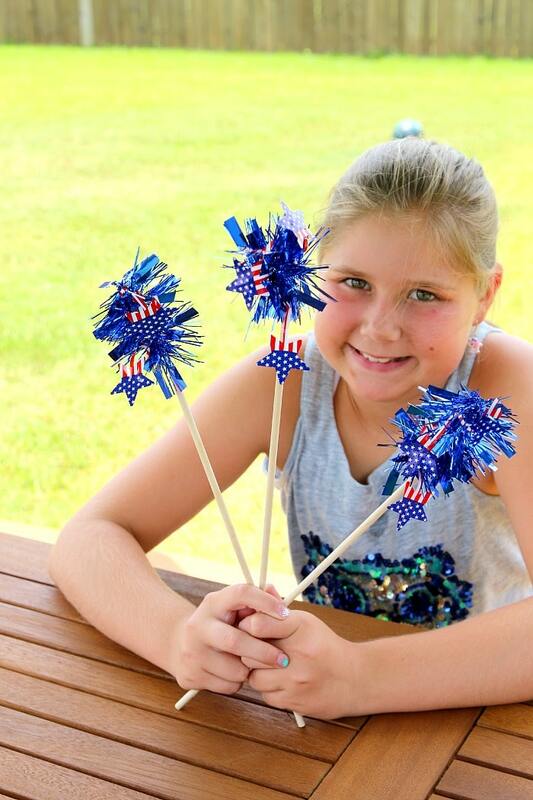 Sparklers, while fun, are pretty dangerous for kids. I know even I get a little panicky has that sparkle comes down myself. Truth be told, while I adore fireworks, I am not a fan of my kids around them because they can so quickly go wrong. But also when it comes to kids, ALL of them, from the smallest to the tallest, want to participate. So Charlotte and I have created a very easy and very inexpensive way for a toddler to participate in sparkler fun without fear of burn. Snip your garland into small puffs. Put a dab of hot glue on your sticks and secure your puff of garland by sticking and then carefully folding around the stick. That’s it! 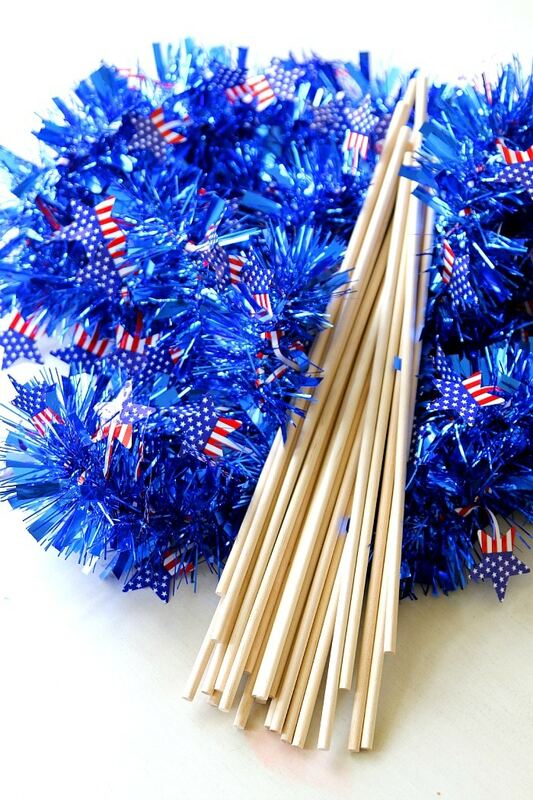 Now you can let toddlers and preschoolers shake their “sparkler” along with everyone else! See more of my July Fourth Ideas here!